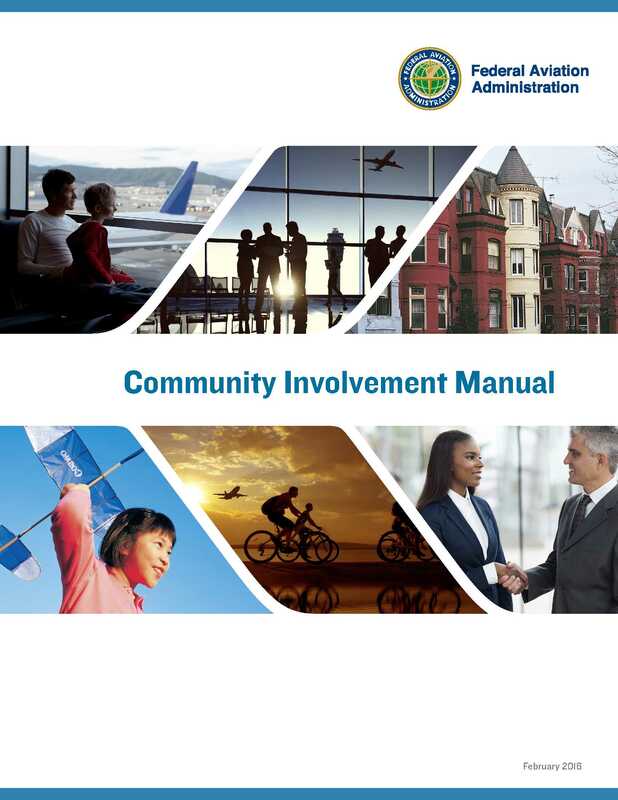 The Federal Aviation Administration (FAA) recently released their Community Involvement Manual. This is the first revision in decades and is intended in part to address recent criticism of the agency that it has not been sufficiently transparent in its outreach on airspace-related matters. FAA interviewed more than 40 local communities and aviation organizations to seek suggestions and perspectives for the preparation of the Manual. The Manual is designed to provide the public the opportunity to express their opinions, stay informed, and become involved. A PDF of the Manual is available.